Flexible working allows employees to alter their normal shift pattern to better suit their work/life balance. This can include working part time, job sharing, working from home, and flexitime. The requested alterations can either be on a permanent or temporary basis, allowing for a change in working hours, the days worked and even the location. Flexible working does not only benefit employees; employers can likewise reap the rewards with increased staff motivation and retention levels. Who can make a request for flexible working? If an employee has worked for the company for more than 26 weeks then they are able to make a formal or “statutory” request for flexible working hours. All applications for flexible working hours should give consideration solely to how the changes would affect business operations, regardless of whether the employee is on a temporary, full or part time contract. Agency staff or employees that have only been with the company a short time cannot make statutory requests, but can informally discuss a more flexible working pattern with their employer. Shareholders and company directors are also prevented from making statutory requests as they will have sacrificed certain employee benefits when accepting their position. Employees returning from parental leave can submit a statutory request within 14 days of their return to work providing they have worked for the company for at least 26 weeks including maternity leave. As discussed there are two ways flexible working hours can be submitted, through statutory and non- statutory requests. The more formal of the two routes, statutory requests have a set procedure that must be followed, with strict eligibility criteria having to be met before an application can be made. Non-statutory requests allow employees to freely discuss the adaptation of more flexible working hours with their employer, regardless of the type of contract they hold and without any limits on the amount of requests they can make. With this being said, the procedure involved with a statutory request can work to the employees benefit. Whilst they can only make one application each year using this route it gives them the right to appeal if their application is rejected, whereas if the request was non-statutory the dispute would have to be presented to an employment tribunal or be taken up as a grievance in the workplace. 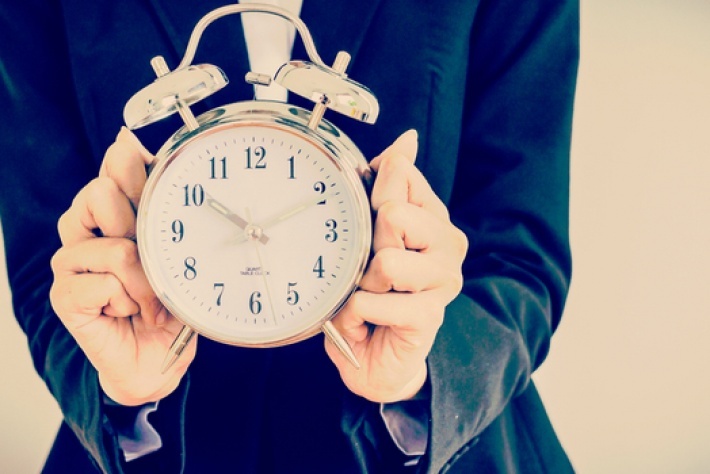 When you receive a request for flexible hours the law requires that it is dealt with in a “reasonable” manner, giving proper consideration to the possible costs and logistical effects the changes will have on your business. It’s recommended you hold a meeting with the employee as early as possible as all requests must be concluded within three months, allowing for any trial period or appeals to take place. The impact these changes will have on your business is perhaps the hardest to account for but is the main reason for applications being rejected. If an employee’s hours are changed, consideration must be given to who else would work this period, whether additional staff would be needed or if the changes would otherwise come at a financial cost to the business. If the proposed changes would come with the “burden of additional cost” or prove to be detrimental towards the company’s quality, performance or ability to meet customer demand, then there would be sufficient grounds for rejection. An appeal offers the opportunity to reach a compromise and reaffirms that the case is being handled appropriately and in a “reasonable” manner. The laws do not oblige you to allow appeals; however, this could avoid the matter being escalated to a workplace grievance. The decision reached in the appeal is final. However, if the employee believes their application was dealt with inappropriately there are alternative routes they could pursue. If the employee’s statutory rights have been breached or the request was not dealt with in line with company procedure the case could be taken to an employment tribunal. Simply having their application rejected is not sufficient cause to present this to a tribunal. If the employee wishes to take the case to the employment tribunal they are required to do so within three months of the withdrawal of the request, the rejection of the application or the deadline by which the proposal should have been dealt with. A tribunal is prevented from disputing your reasons for rejection, but they are able to challenge the facts your reasoning is based on, and if the claim is successful you could be made to pay up to eight weeks wage as compensation, capped at £475 per week. What happens if I receive multiple applications? If you have a larger workforce, it is not uncommon to receive multiple applications for flexible working hours in a short amount of time. To ensure that all employees are treated equally, requests must be considered in the order they were received. With this being said, you must consider the impact of approving an application as this would affect the likelihood of the remaining requests being accepted. Alternatively a compromise could be reached between employees, giving them a better work/life balance whilst maintaining the effectiveness of your business. Managing a business can be stressful and sometimes the administrative burden can become overwhelming. 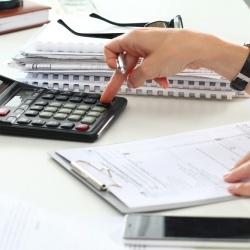 Handpicked Accountants helps, connect you with the most trusted accountancy firms in your area. Call our experienced advisers on 0800 063 9258, or start your search for your perfect accountant here.